‘Crouch On The Couch’ – Peter Crouch TV Chat Show In The Pipeline? 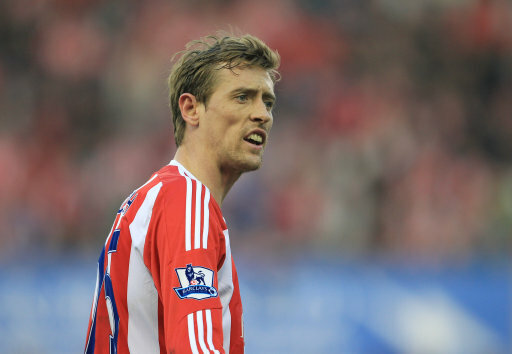 It’s got the distinct whiff of ‘spurious bullhonky’ about it, but The Sun (among others) are claiming today that Peter Crouch is to be handed his very own TV chat show, tentative title: ‘Crouch on the Couch’, with Sky planning to produce a pilot episode later in the year – with growling six-toed troglodyte Liam Gallagher the preferred inaugural guest. “Peter is a smart guy and takes on the role of a chat show host well. He has a long list of people who he considers heroes, in comedy, music, food, you name it. The idea is he will go and visit people at their homes or workplaces and chat to them in a quirky way. I’m sorry, you lost us at ‘It’s more Ruby Wax’. Let’s be fair, Crouch is fairly erudite, self-effacing and jovial as far as footballers go, maybe – just maybe ‘Crouch on the Couch’ will all come together as a chaotically watchable hotch-potch. Maybe. That said, maybe it’ll be complete tripe. Disaster. Waiting. To. Happen. However, it kind of got us thinking about footballer-fronted shows we’d like to see. How about ‘Wife Swap’ with John Terry? Too risky? How about ‘Out and About with Dirk Kuyt’? ‘Baines, Trains and Automobiles’? Yes, Yes, Yes please let this happen!! A made-for-tv version of the musical “Hairspray”, starring Wayne Rooney.